By any standard, Ivanka Trump’s New York apartment contains an enviable collection of artwork, mostly from young, up-and-coming artists. Her stunning apartment features walls of breathtaking works, each valued at over $500,000. The public knows all of this because Ms. Trump regularly showcases her home and her artwork as a backdrop to her Instagram posts; she’s shown her home in over 2,700 posts. Some of the posts depict Ms. Trump, Ms. Trump with her family, her children, and her belongings. Other posts feature products from Ms. Trump’s handbag line. 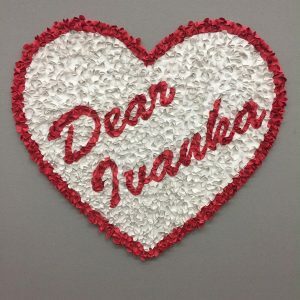 A noisy and growing group of artists has organized against Ms. Trump’s inclusion of their art in her Instagram posts, with some even demanding that she remove their artwork from her walls—because as one artist put it, “he’s ashamed to be seen with her.” The artists started the @Dear_Ivanka Instagram, blog and Twitter account as a forum for artists to voice their opinions about her posts. Other artists and commentators have used the platform to voice broader opposition to the President-elect. Objectors even held a vigil outside Ms. Trump’s apartment both to ask Ms, Trump to take down their art and to protest the President-elect. Since the lead organizing artists launched @Dear_Ivanka, they complain that Trump supporters have targeted, bullied and threatened their lives. Besides their written and in-person protests, do these artists have any legal recourse to prevent Ms. Trump from photographing and duplicating their work on Instagram? The law extends copyright protection to artists protecting them from others reproducing their works without permission. Artists have the exclusive right to copy their works and to publically display them. Thus, an Instagram user might need permission to photographically copy an artist’s work and publically display it in a post. Certain exclusions to the law’s prohibition against reproduction and display apply, including that the purported copyright infringer is making a fair use of the artwork. The fair use exception applies when the duplication is made for purposes of criticism, comment, news reporting, teaching, scholarship, research or comment after balancing four factors: (1) the purpose and character of the use, including whether such use is of a commercial nature or is for nonprofit educational purposes; (2) the nature of the copyrighted work; (3) the amount and substantiality of the portion used in relation to the copyrighted work as a whole; and (4) the effect of the use upon the potential market for or value of the copyrighted work. 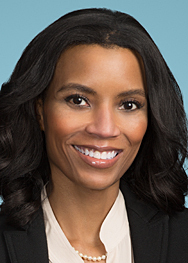 In this case, Ms. Trump’s pictures of herself and family in her apartment featuring the art as a backdrop may be characterized as fair use commentary. The artists may argue that the photos help build Ms. Trump’s brand generally, and thus she is commercially exploiting the artworks in violation of copyright laws. But Ms. Trump could easily counter that her family photos are not designed for commercial purposes and have no impact on the value of the artists’ work. This is true regardless of the fact that some Instagram posts feature substantially all of the artwork at issue. Ms. Trump could further contend the point of the various posts is the Trump family member(s) pictured not the painting behind them. However, for any posts where Ms. Trump features purses from her handbag line, artists may have a stronger argument that Ms. Trump is making a commercial use of the artwork by using their pieces to market her bags—thus weakening a potential fair use defense. Social media shaming can be an effective tool to curb undesirable behavior. We’ve previously written about a shoe designer who felt Ivanka Trump knocked off their shoe design and sold it for a fraction of the cost, and the resulting campaign against Ms. Trump on Instagram to force her to stop selling the shoe. In the wake of her father’s impending inauguration, Ms. Trump is being subjected to a similarly bruising online campaign that may be as effective at encouraging her to modify her posting patterns as the threat of legal action.